This article is 2923 days old. The Windsor Spitfires kicked off their match-up with the Owen Sound Attack Tuesday night for the Western Conference title at the J.D. McArthur Arena in Owen Sound and suffered a disappointing 8-1 loss to the Owen Sound Attack. 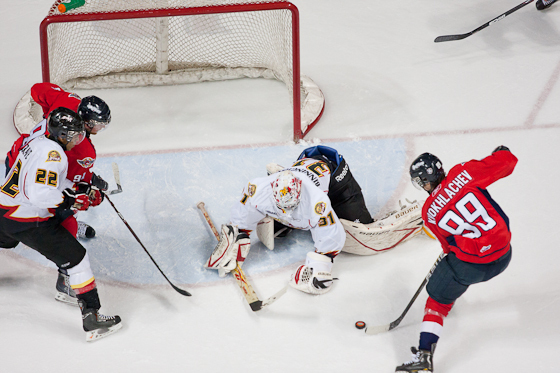 Windsor’s lone goal was scored by defenceman Adrian Robertson assisted by Alex Khokhlachev and Tom Kuhnhackl. Game two will take place Thursday night in Windsor at the WFCU Centre.